Media Making and Creative Content Strategy. I’m a filmmaker, storyteller, and youth media educator. My goal is to help people share their story in a compelling and engaging way. Non-profits, businesses, artists, & folks who are embarking on innovative endeavors benefit from using digital media to build a community around their ideas. I love being there to package those ideas in a way that sparks conversation and inspires people to get involved. Being a part of the MCDM community has opened up a ton of opportunities for me to work with clients, while providing a strong mentor-based support system. I have been earning my chops in developing creative strategies by focusing on authenticity, audience, and networks. The most fundamental tools emphasized throughout my MCDM adventure have been centered around grounding my clients’ stories in sincerity, being clear on who their media is being made for, and leveraging a wide variety of networks to spread their message. The introductory Narratives and Networks class that we took with Hanson and Mac was the perfect foundation to build upon and had the most impact. Gaming for social change, transmedia, interactive media, and mobile technology trends in emerging markets are inspiring my curiosity most right now. I want to travel the world making media, documenting people’s narratives, and putting media tools in the hands of as many people as possible so that they can amplify their own stories. Being full-time last year was intense. I took on a lot of opportunities and projects that I am thrilled to have been a part of, and I’m very excited to be part-time my second year. I hope to be able to savor more of my MCDM experience. Meatballs. I am more into savory than sweet. How are you directly applying knowledge from the mcdm program in daily life? “Leadership in the Digital Age” with Anita Verna crofts continues to be the most influential course of my two-year run in MCDM. Keeping a diary over a few weeks; then entrusting it with her was certainly breakthrough for me as I’ve always been an intensely private person. The course also accentuated some shortcomings of mine in terms of my not always making clear my eagerness to lead in group settings – especially when the topic is right up my wheelhouse. Professionally, I believe the storytelling course taught by MCDM director Hanson Hosein, Scott Macklin, and Feliz Efe did more to enhance my skills and excite my passion for writing & editing than any other class. Such skills are at the core of what I wish to accomplish in my media career moving forward. (1) foremost is the tighter marriage of news sites to rss feeds, while making more efficient the filtering process to get the stories of strongest interest. (2) learning how to more effectively filter which “friends” and network connections see which posts has eased the perceived need to present one persona. (3) on down note, the trend that leaves me most troubled is a strong sense that there is very little I can do to block the tracking of my interests & location. Key lime pie because there’s just something about the lime that cools my tongue on a hot day. On cooler West Coast evenings, there’s just something magnificently tempting about a coconut cream pie with a smooth layer of rich chocolate complementing the banana filling in the middle. Just between us, that chocolate can be traditional or the chef can throw me a curve ball with white chocolate chunks. I’ve definitely leaned towards the “communication and distribution” pathway within MCDM. I’m interested in the stories that people and organizations have to tell, and how they can use different media to share them. I currently work at Seattle Children’s as the social media specialist. I manage our corporate social media accounts (Facebook, Twitter, YouTube, Google+ and Pinterest currently), which represent the three entities that comprise Seattle Children’s (hospital, foundation, research institute) and help other departments within the organization who are interested in developing their own social media presence. I started at Children’s about halfway through my first quarter of MCDM, and I definitely credit the program for helping me to land the gig! Hanson told us about the opening in class — he had developed a relationship with the organization and they had a lot of respect for the program, which I think definitely gave me a leg up. I have loved all my MCDM classes, and wish that I could take (almost) every class offered. I’ve taken two multimedia storytelling classes — one with Hanson and Scott, the other with the Common Language project — that I really enjoyed on both a personal and professional level. Personally, I really enjoyed learning the process of weaving together a story, and talking through some of the ethical issues involved in finding, telling and sharing someone else’s story. I think those things all help professionally as well, as did learning a practical skill (nonlinear video editing). I also really enjoyed Kathy Gill’s Managing Your Web Presence class, having never been a super tech-geek, it was great to learn about what goes on behind the scenes to make the web what it is. I’m planning on taking Anita Crofts’ Leadership class in the fall and am really looking forward to it. Though it’s not purely a “digital” trend, I’m really interested in content strategy. There’s so much content out there, and I know that I personally am often overwhelmed by the amount of “noise”. I’m really intrigued by this process of looking at what your audience or end user wants, and figuring out how to communicate that to them, rather than looking at what you as an organization want to say and how you want to say it. To me it speaks to the reasons I first became interested in social media, and subsequently the MCDM program — the idea that the public had a voice and a platform in a really new and powerful way that could actually influence the information, products or services they were being given. I think the blessing and the curse of this program and this “field” is that there are so many options! I’m still trying to figure out exactly what I want to be when I grow up, but I’m really interested in content production (in all kinds of media) as well as using social media as part of an integrated approach to help organizations solve problems and meet their goals. I think at some point I’d like to try working for an agency — I like the idea of working as part of a team to accomplish something concrete. There’s also a part of me that would really like to stick my toes in the water of entrepreneurship, but I haven’t found my “big idea” yet. Most quarters I’ve just been a part-time student (one class) but I have doubled up a couple times. Having classes in the evening or on weekends definitely helped make the balancing act manageable. It’s tough, but doable. I just kind of accept that my social life will be limited during the quarter, but those 10 weeks do go by fast! Apple all the way! I grew up with Macs, and actually started college (in 1998) with an old Macintosh Classic. My personal computers have been Apple ever since. My areas of interest within the MCDM were Story and Entrepreneurship. I was able to use the hands-on and academic knowledge I gained in the MCDM to build engaging video narratives for many different organizations. I had the opportunity to expand my business while in the MCDM because of the connections I made within the program. I was fortunate enough to do projects for a George Lucas Foundation sponsored project from the College of Education, create a highlight reel of an eight week lecture series on food for the College of the Environment, and create a promo video for the College of Public Health. I am a web content producer for Providence Health and Services in Northwest Washington. In that role I act as a local expert for website projects and changes to the busiest Emergency Room in Washington State, a multistory Cancer Partnership, about 12 primary and specialty care clinics, a foundation, and more. Since I started working for Providence in December 2012, I have migrated their outdated Intranet to SharePoint, initiated a social media pilot project to measure if social media can increase patient volumes and engagement, and worked with my team on a video pilot project to measure if videos of providers, clinics, and specialty care can increase patient volumes. We are currently in the process of creating one of the most innovative healthcare websites that will launch by the end of the year. Features of the new site will make the patient experience much easier online, which is one of my professional goals. I want to create an easy to use web experience for everyone, not just the people who are tech savvy. The storytelling skills I learned in the MCDM allowed my to expand my Business, Evan West Media. I was able to use the knowledge I learned (such as how to shoot video, edit and tell a compelling story) for multiple organizations. I still use that knowledge for consulting on the side. I am also able to use knowledge I learned in Kraig Baker’s Law class on a regular basis. That class has kept me from making some serious mistakes when it comes to digital media law. Through the MCDM, I was able to do an internship with CedarCreek Winery in Canada. The winery flew me up to Canada, put me in a resort, and gave me some great wine (best internship ever). Even though all of that was great, I became much more aware of how digital media marketing really works. I developed a multi-phased online marketing plan for CedarCreek Winery that included a process on how to engage their customers with social media, drive them to their website with paid search, and included suggestions on what they should do with trends like Groupon and QR codes. This internship helped me understand the power of an integrated online marketing plan can have in driving business growth and customer engagement. I have recently become interested in Artificial Intelligence and other technologies that can lead to the Singularity (that is when machines will become smarter than humans). It’s only a matter of time, Google it if you don’t believe me. My ultimate goal would be to create or manage a company that makes people’s lives easier in the digital, and real, world. When I first started the MCDM I was taking more than a full course load. I was running my online marketing company at the time and I could choose my own hours. It was still difficult though. The best suggestion I received while in the program was to spend as much time within the MCDM as I could. It’s all about the connections you make while in the program, the longer you are in the more people you meet. Because I took a lot of classes during my first year I was able to take one class a quarter after I started working full time with Providence. It was tough, but it was worth it. My favorite place to study on campus was the Foster School of Business. It is one of the coolest buildings I have ever seen and their meeting rooms are great. They have giant TV’s and walls made out of white boards, which make it a great spot for team meetings. I took classes mostly in the “emerging” track. I also spent much of my time working on Flip the Media as one of its Editors. I am a filmmaker and college professor. I will continue telling stories and working with people interested in learning strategies for the 21st Century. As I get older, I become more and more interested in the intricacies of policy and the ability of institutions–political and otherwise–to create opportunities for creativity, understanding and opportunity. My communication strategies have evolved along with my analytical abilities. The MCDM helped me recognize and facilitate my own abilities in the work I do as an educator every day. All of my classes at the MCDM were influential. I was particularly taken with those instructors who were willing to push beyond the traditional teacher/student duality and explore experimental forms of learning and instruction. If this program is to thrive in the future, it should be more experimental and innovative in its approaches to the classroom experience. I’m excited to see how the new MCDM fellowship cohort will innovate and lead new learning and teaching strategies for the MCDM. I think we make too much of a distinction between digital and analog modes and medias. As for my ultimate career goal, I’m not sure yet but I’ll let you know what it is when I find it. Promise. My next step is spending a year in the United Kingdom as a Keasbey Memorial Foundation Scholar at the University of Edinburgh. I really valued the opportunity to get to know the UW campus while I was a student in the MCDM program. I was particularly taken with some of the little cloisters the campus holds. One in particular always makes me feel good when I walk through it and that is called the Grieg Garden and lies just South of the Comm building. I am also fond of the derelict former Nuclear Power plant on campus. spooky and retro-chic all rolled together in a Super-Fund site. What could be better? Before and during the program, I worked in Email Marketing. However, right now I’m not doing anything. I just got married, and my husband and I will be going to South Korea to teach English this year. I’ve never been especially comfortable with public speaking or presenting, but my time in this program has helped me overcome a lot of that due to all of the presentations. Now that I’ll be teaching, I’m really grateful I was able to have so much practice over the past couple of years. I especially enjoyed the storytelling classes, and I think that being an efficient storyteller will benefit me as a teacher. I also plan on continuing to make videos in my free time, whether it is as freelance work, or just personally to document all of our adventures. I love that so many non-profits are using video to get their messages out. It’s so much more interesting to see the work non-profits do than to read an email about it. I’d love to be a video producer and/or editor, working for non-profits and small companies to make videos for their websites, fundraising purposes, etc. Gelato, because it reminds me of my time in Italy! 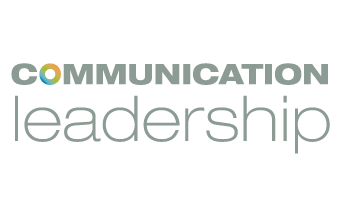 For the last 14 years, I’ve used my marketing and communications expertise to help nonprofit organizations connect, persuade, and inspire people to take action. I helped build the social media program for United Way of King County–the largest United Way in the nation in terms of fundraising–and as a member of Seattle Works’ social media committee, I developed two online fundraising campaigns that raised nearly $20,000 and significantly grew the organization’s individual donor base. While I was the digital media manager at the Seattle Art Museum, I developed content and strategy for the museum’s website and social media platforms. My efforts helped SAM connect with both current and new audiences and drove attendance to the museum’s three sites. As an independent consultant, I help organizations tell their stories, connect with customers, and drive revenue. I often consider the importance of storytelling. The continuing rise of mobile devices, Microsoft’s attempts to re-invent itself, social consequences of pervasiveness of digital technology in everyday life, gaming for nonprofits. That’s a tough question! One of my goals is be in a position where I’m enabling people to use technology to improve their lives and the wider community. While I was in the MCDM program, I worked full-time. I also raised a young child with my husband. That meant one long day every week and weekends that were always busy with homework and group projects. I only took one class a quarter and always took the summer off. It took me longer to finish the program than most people, but stretching it out worked best for me and my demanding schedule. Plus, the MCDM is always evolving so I was glad that I had extra time in the program to benefit from some of the changes and experience the most recent course offerings. My favorite dessert is a banana split. You add whatever ice cream and toppings you want, and you can still feel like it’s reasonably healthy because it has fruit in it. I am Director of Digital Media for the University of Washington. The position is part of our division of External Affairs, an area that includes marketing, news, and local-state-federal relations. My position produces and curates video stories for our media channels and UWTV, and manages the UW’s presence on YouTube and iTunesU. I also consult with groups across campus on new technologies like location aware applications and in managing their digital communities through the social networks. Many of my MCDM classes have had a direct impact on moving the UW forward in messaging, channel selection and storytelling. Two projects have had the most impact. The first is the development of a digital storytelling resource and training program for storytellers under the banner of “uwstory”http://depts.washington.edu/uwstory/wordpress/ and the second is creating and delivering a set of presentations on copyright and fair use for UW communicators. The foundational courses – “research methods” and “history and systems” brought me quickly up to speed on the changing landscape. It had been about 20 years since my last degree, and 10 since I left a major marketing position in banking, and these were the right launching pad. The course that impacted me most personally was Emerging Markets in Digital Media. To learn about entrepreneurship and innovation in the poorest countries in the world was enthralling. I think the rapid movement toward integration of mobile phones with other technologies and the rapidly rising tablet computing movement are going to again change the way we compute and communicate. We’re always a step behind our students’ knowledge and preferences for electronics in higher education, but we’re aware and continually intrigued by what will be possible in the classroom of the future. Just trying to ride the wave. I’d like to leave the legacy at the UW that every student gets some exposure to digital storytelling and learns how to tell a good story. Blackberry pie! I pick the blackberries myself.